During his career West Ham forward Andy Carroll has often been deployed as a lone striker. But Hammers manager Sam Allardyce, 60, believes it could take a partnership to bring out the best in the 25-year-old - namely his off-field coupling with reality TV star Billi Mucklow. Allardyce has backed the pair's recent engagement, saying: "Andy has now got a different life - romance has blossomed. "It can be very good for a footballer when they settle down off the field." England international Carroll is closing in on a return from ankle surgery and could come into contention for Saturday's Premier League match at home to Aston Villa. 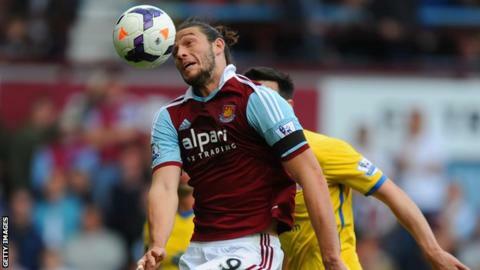 And Allardyce believes Carroll can come back better than ever. "When you have a relationship, you start building on that relationship by the fondness you have for each other," he said. "I think that can only be good for Andy and his football."